How many of you are like me and get totally stressed out during the holidays? There is so much work to be done! You have to find all the right gifts for your kids and parents and in-laws and you have to make the perfect side dishes and entrees for parties and the list goes on and on and on. Don’t get me wrong, it is very fun but so stressful! If you feel like me then this freebie is for you. 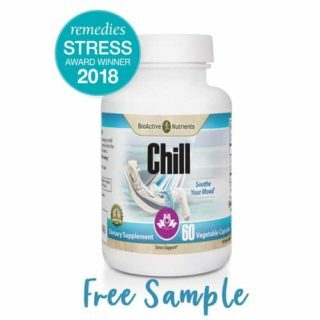 BioActive Nutrients is offering a sample of their Chill Stress Support Supplement for free. Click here and add to cart. Just fill in your shipping information and confirm your order. No payment information is necessary. This supplement will help you stay calm by allowing your body to react in a healthy way to stress. Nothing can hold you back from holiday shopping now!